Cookery holidays | Your Holiday. We offer two cookery holidays, a 4 night / 5 day long leisurely Weekend and for those who want to enjoy being here a little longer and don't want to leave, a 6 day / 7 night cookery holiday. The aim of the cookery holidays is to immerse you into authentic Italian life . From the moment you arrive to your day of departure, you will experience ' La Dolce Vita ' and everything we think that entails, as well as meeting a few characters along the way who will hopefully leave an impression on you and when you do leave ( be warned, you won't want to ) you will leave with a love for Sabina and its people and having learned some wonderful recipes along the way. During the cookery holidays you will be staying in our beautiful historic country house in Fara Sabina. There has been a building on this site dating back a thousand years and it once was the first line of defence for the nearby then powerful ,extremely rich and influential Abbazia di Farfa. The building and estate has now been in Giacomo's family for well over 200 years. Around 70% of our guests come along by themselves and we are sure you will experience a warm, welcoming, comfortable safe place to holiday and where we hope you will feel that you are amongst friends. An Italian Icon in Rome - www.tastetrailsrome.com - Cookery holidays in Italy. Fara Sabina is just 35 miles North of Rome and only 35 minutes into the center of Rome by the excellent Italian train service. Orvieto is 1 hour North. Rome has two International airports . Rome Fiumicino ( for the National airlines BA , Aer Lingus, ALITALIA and in general all long haul American , Canadian , Australian airlines etc ) and Rome Ciampino for Ryanair. For those arriving in Rome Fiumicino ( FCO ) , guests would take the excellent train service from right inside the airport ( €11 euros - 2016) When your train is departing the airport you would simply send me a text message and then I would know exactly what time you would arrive locally at Fara Sabina train station and I would be there to meet you. It is all very simple and safe and we have not lost anyone yet! For those arriving in Rome Ciampino ( CIA ) we would collect you in person and transfer you ourselves to Fara Sabina - We don't charge for this. Johnny Madge wine & extra virgin olive oil tastings. www.tastetrailsrome.com - cooking holiday. Spring time in Italy - www.tastetrailsrome.com - cooking holidays Rome. Onto the cookery holidays - On arrival the first evening, we will meet for Prosecco and a welcome dinner where we will come together very informally and warmly, get to know each other and Mark will explain what your days ahead entail. 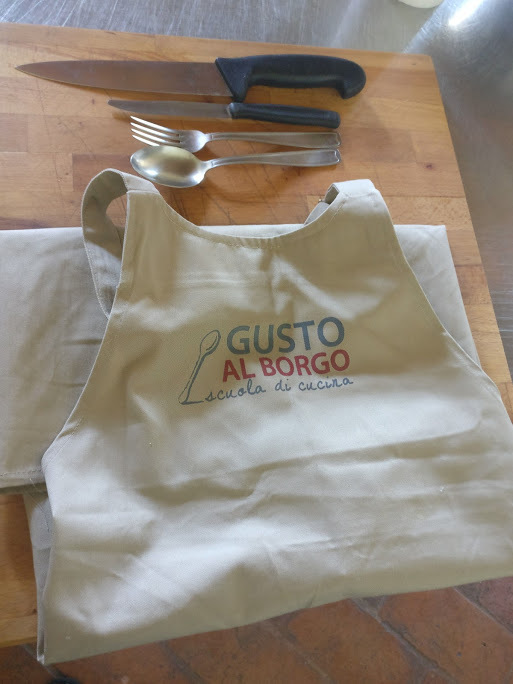 For those staying on the 4 night / 5 days Long weekend, there are 2 Italian cooking lessons followed by lunch / dinner, an accompanied day in stunning Orvieto,Umbria, a dedicated wine tasting and of course the welcome dinner . For the 6 night / 7 day holiday there are 3 Italian cooking lessons followed by lunch / dinner , an accompanied day in Orvieto, Umbria , a dedicated wine tasting, the welcome dinner and a day in Rome including train / metro tickets and lunch at a Roman Trattoria in Rome's historic centre. Mark will accompany all guests for the day in the Eternal City. We leave for Rome just after breakfast and return early evening to Fara Sabina, so a full day in this unique, special city. Breakfast is served each morning in the hotel apart from the day we go to Rome. We will take breakfast locally on this day. With each Italian cooking lesson there will be 2-3 hours in the kitchen where the emphasis will be on creating not only traditional but also a modern take on the dishes of the Cucina Romana and Sabina - all wonderfully simple dishes using only the finest local generally organic ingredients bursting with flavour and whatever is in season. There is nothing packaged and flown half way round the world here. These are recipes we are sure that you will be able to recreate at home. The lessons will always be a full meal, to include Antipasti ,primo piatti, secondi and dolce. Vegetarians or if you have a particular diet are all very welcome and are catered for in the lessons and throughout your stay. Prior notice is of course required. Following the lessons we will eat the fruits of your labour, always washed down with wine. Sabina is renowned for its fine Extra Virgin olive oil, Sabina DOP. Some of Italy's best can be found here. All small production but made with a passion, pride and love that can only be found in Italy. Sabina D.O.P. Extra virgin Olive Oil will be in abundance during your stay and by the time you arrive home you will be craving the stuff and will for ever more shun the Bertolli's of this world . The beautiful historic hilltop village of Fara Sabina where you can wander through the virtually traffic free village and explore the nooks and crannies of cobbled alley ways, Palazzos and Piazzas. Fara Sabina is high up on the hill with beautiful views heading down to Rome and with the Apennine mountains and Umbria to the North . Jamie Oliver spent a week or so here with the last few monks of the abbey exploring and enjoying the food and the world class extra virgin olive oils of Sabina. Sabina - is perfect walking and cycling country. There are a number of trails in and around the hotel taking you into a countryside of olive groves, orchards and natural beauty. There is virtually no light pollution here and the Sabina night sky is something to behold. You can see and you feel as if you can touch every star in the sky. On the warm Summer evenings when the Fire Flies are buzzing around the lanes and the fragrances of the wild flowers fill the air just makes you happy to be alive. Spring generally arrives early in Italy and the Summer lasts long into October. August can be hot. The evenings are cooler early and later in the season. A big part of the cookery holidays is our day in Orvieto where we spend the morning at the beautiful Custodi vineyard which is located in the hills of the locality of Canale, in the Classico zone of Orvieto. They cultivate 37 ha of vines and 70 ha of olive trees. The first vines were planted in 1965 by Gianfranco Custodi and built into the hill facing Orvieto and its famous Duomo. Today Custodi is completely run by Gianfranco's daughters Laura and Chiara. The winery produces around 2000 cases per year of very high quality wine and we will be tasting all as well as seeing how they produce theirs wines. Hi Mark , I think so fondly about my cookery holiday in Italy and I enjoyed it so much. Thank you too for all your kindness and it was a pleasure meeting you. I am sure all who participate with Taste Trails Rome Italian cookery holidays will write glowingly to you because it is well managed, and delivers exactly what you promise. I must admit I like countless others, including yourself, understand the love of Sabina. Please do keep in touch, and I hope all subsequent 'groups' have as good a time as we had !